Down in the depths of the Southern Hemisphere, that is. Yes, I know not the most profound statement to be made on this blog. Though we usually do sing out quite loudly even from rooftops most years when the month changes from December to January and then February. As the temperatures on land start to rise in a fast upward motion. The weather report is more reliable, and the sea is far more inviting and warm, with most of that nasty spring wind having died out. Though don’t quote me on this, it is New Zealand after all. With summer here, comes the purchasing of seasonal treats, not usually enjoyed during winter or spring. Ice-cream is what I am referring too. Apart from this delectable licking blob on a cone, you will need a supply of more substantial, robust foods, if need be, you can fill your basket with healthy foods to fuel you as you set off to enjoy your time in the great outdoors. Such as the beach, if there is no beach, of course, there will be a park or maybe your own backyard. Ideally, picnic food should be tasty, filling enough to allow body surfing in the waves and beach cricket on the sand, or playing “tag” in the backyard. Hopefully, food can be eaten without a plate or cutlery. That ham croissant/sandwich or slice of the cake should stay in one piece when running? Why? There is always a gust of wind that accompanies a picnic and that evidently whisks an item off the blanket. Especially Aunt Daisy’s hat. It’s picnic season. We all love picnics, don’t we? If history is anything to go by. Many of our cultures have enjoyed picnics for centuries. The earliest ones in England were medieval hunting feasts of assorted baked meats, pickles and pastries consumed with passion before the hunt. Of course, it was no picnic for the deer that were savoured by the victorious hunters. Throughout our years of travel, we had enjoyed picnics with many of them in the UK, mainly when the sun was shining, a heatwave in Italy to more reasonable winters in Spain. It has even been known for us to have a few in a hotel room or two on wet and windy days. A picnic is a celebration of sorts. To celebrate food in the great outdoors. From a loaf of daily bread to the occasional decadence. A picnic is a go-to place for tasty eats, sweets, and treats. Same-old, same-old or cream with everything. Life is made for adventure and inspiration. Moments of “WoW” and wonder. Bite by bite, of a chocolately taste. Check out the following websites where you will find a few sweet and savoury picnic ideas to create and pack into the picnic hamper. Then with said hamper set off in your car and head off to some inviting shady oasis. If in New Zealand then having your picnic under a Pohutakawa tree by the sea would be idyllic on a hot summers day. What food do you enjoy when indulging in a picnic?. I’d never say no to some macarons and croissants in my picnic hamper, Suzanne. 😉 But most of the time you’d only find some fruits and a couscous salad in it, maybe with some crisps at the side. Thanks Christie, I too loved the title 🙂 I am with you in that I have no idea why eating outside is more enticing. Perhaps over the year we tend to eat more inside so any excuse to do something different? We love having breakfast on the balcony. Congratulations on your nomination and I love the new name and look! Nothing like a picnic in the great outdoors or a hotel room. A nice glass of wine or a cold beer hold the ice cream. You’ve given me one more reason to look forward to spring, Suzanne. Thanks for sharing this delightful post! Good to hear you are still enjoying ice cream, especially delectable with a warmish winter dessert! You’ve made me hungry now! Love picnics, especially with olives, bread, cheese, piccante salami, and of course, wine to wash that all down with…very delicious. Luckily we can buy so many diferent ranges of food no matter what country we are in. I too love picnics. Since we’ve had our electric car picnics have become a part of every trip. Flask of tea, pie, summer fruit and gingernuts, slowing down, sitting back and watching the world go by. Perfect! Don’t forget the dunkers, as in gingernuts 🙂 Absolutely a perfect time to relax and watch the world go by. It was or still is a kiwi tradition to stop at a river etc for a picnic while on the way to stay with relations. Ours were mainly in the gorge on our way to Gisborne! Congrats on the nomination! My word I wish I lived in the Southern Hemisphere at this moment! It’s been bone-chilling cold in the Midwest USA and your pictures made me jealous (but in a good way). Cheers Angela. Your weather has hit the news over here in New Zealand on a few occasions. I can’t imagine what it would feel like to go -30 below. We hit -14 degs in Northern France for a day or two. Yes, we are all guilty of having a “too much feast” 🙂 I am trying to do more walking and less eating!! Visiting from Esme Salon and I enjoyed your post! I cannot wait for picnic weather to return to the Northern Hemisphere! Thanks for commenting and it won’t be too long before you get to enjoy some lovely picnic weather. Yum. I love a good picnic! That sounds lovely too! You’ll be able to picnic all year round! We did have a fantastic picnic of fish and chips in NZ, until all the seagulls noticed us. Then we had to escape! Can’t visit NZ without a feed of fish and chips 🙂 Seagulls are a damned nuisance, we have learnt how to deal with them. Helps having someone who has the ability to throw a chip long distance!! Sam, that is way too cold!! You have a wonderful boat deck to enjoy a la carte dining when it becomes warmer 😊 Enjoy your snowboarding! I adore picnics Suzanne. Any excuse! My favourite picnic food is homemade potato salad, followed by Ice cream on the way home! Yummy! Potato salad! Brigid anything homemade is good in my books. Ice cream after a walk along the beach is a favourite for me. I’m not a big fan of picnics. If the ground is dry enough to sit on, it usually means that it’s too hot to be outside. Winter is still trundling on here. April, we do it the posh way with picnic tables and benches. Or if they aren’t available then fold up chairs were usually in the car. Much easier on the back than sitting on the ground. Hopefully Spring is just around the corner and you start planting out your vegetable garden! I’m thinking about seeds. I’ve got more space this year, because I dug up my globe artichokes which were taking up more of the garden than they deserved. Denzil, I have no idea. Avoid a nest area? Though I have not come across them while having a picnic in NZ. Eilene, your Colorado countryside must be looking very spectacular with a record amount of snow that has fallen in the last week or more. Not long to go before Spring kicks into action! Yes, doing the same thing day in and day out will get dull, it is good to have variations of where and what we eat. It is beautiful and more snow on the way! I’d love to see New Zealand sometime, too. If I picnic indoors, I don’t have to worry about ants, but the dogs might get a bit pesky! Oh yum, I love a good picnic. I love throwing in a good baguette, some pate and cheese, some nice ham and a good relish and make your own as you go. Washed down with a nice dry white wine or Rose too of course. Sounds perfect Glenys. Food does seem to taste better while be eaten outdoors. Hey! 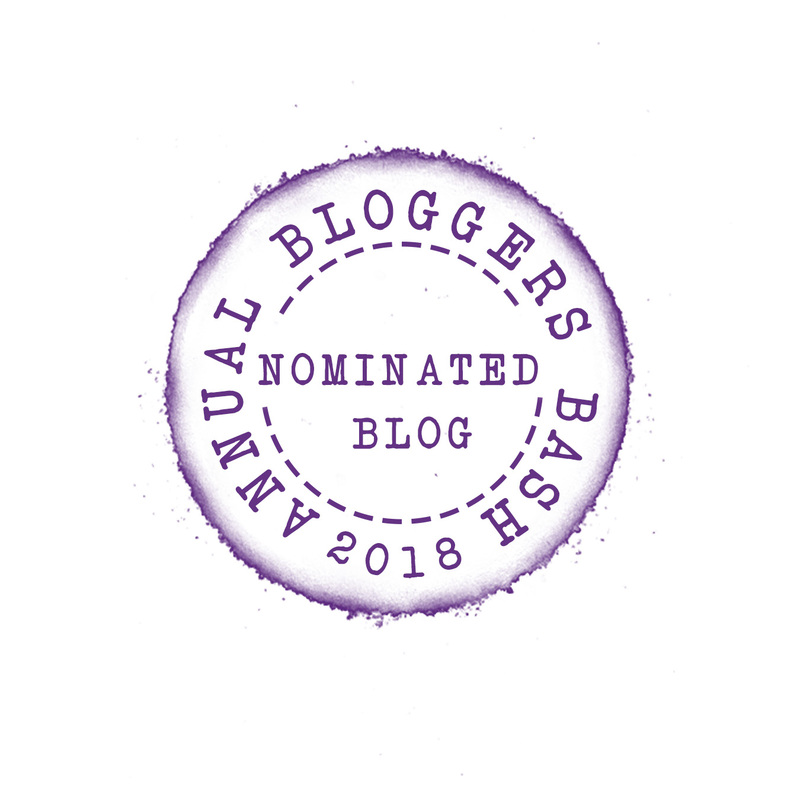 Congrats on being a nominee again for the Blogger’s Bash! I love picnics, but I don’t like the wind, which we seem to have plenty of here in the desert. Each time Mark and I go for a day hike or a longer bike ride, we pack a sandwich lunch. Our breadboxes also contain carrots and another snack like nuts or pretzels. It’s been a while since I had a “real picnic”, like the kind you have in France with baguette and cheese. Yum! Thanks Liesbet. Yes, nothing quite like a french baguette and cheese. I’m going cheese free for awhile as I need to get fitter!! It’s going to be a struggle saying no to cheese!! I enjoy a picnic especially when going on hikes! A little too chilly here to have a picnic yet, so I will live vicariously through your pictures. Janis, it won’t be long before you too get to enjoy a summer. Ours is nearly over!! I enjoy Autumn far more!! I’m with you on this. I like a good picnic. Especially if hoppy beers are part of the meal. See ya! Nothing like a cool beer on a warmish day. Thanks for commenting, Neil.